Posters you'll never get tired of. Ha! The only thing cyclists like more than cycling is showing their love for cycling in clever graphic form. 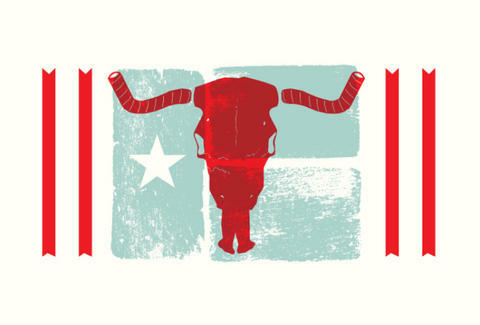 Hence ARTCRANK: a greased-up poster show opening this weekend at Mellow Johnny's featuring limited-edition, signed/numbered prints from local designers flexing their creative gears in celebration of two-wheeled transport. 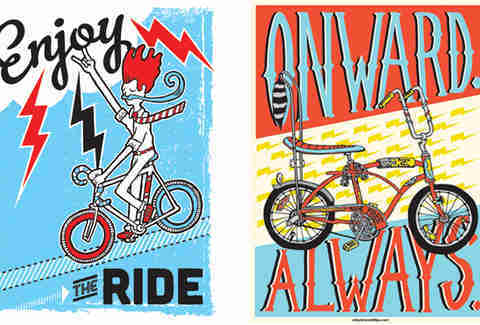 Soon-to-be-framed works run from Brian Phillips' cartoony card-spoked, raccoon-tailed cruiser and its nut-saving frame pad ("Onward Always"), Charlie Chauvin's downhill coasting "Enjoy the Ride", and Edgar Alanis's ode to summer afternoons spent biking to food trailers, whose owners peddle the stuff that guilts you into pedaling harder. 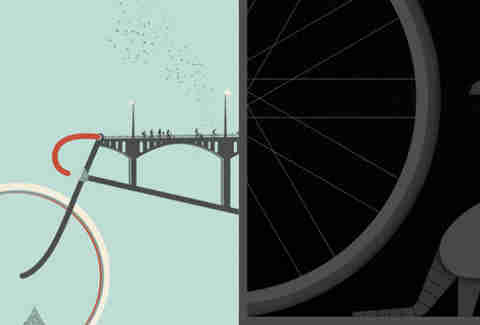 Further meandering will net you Audrey Fox's streaked reflection of a cyclist in a pond, Oscar Morris capturing an impending collision with an armadillo, and Bethany Bauman's mash-up of a bike frame with the Congress Bridge, a collision that was no accident. To kick things off, ARTCRANK is throwing a party at Pine Street Station tomorrow, with commemorative pint glasses & beers from Widmer Brothers, guaranteed to make you more clever, and probably graphic too.